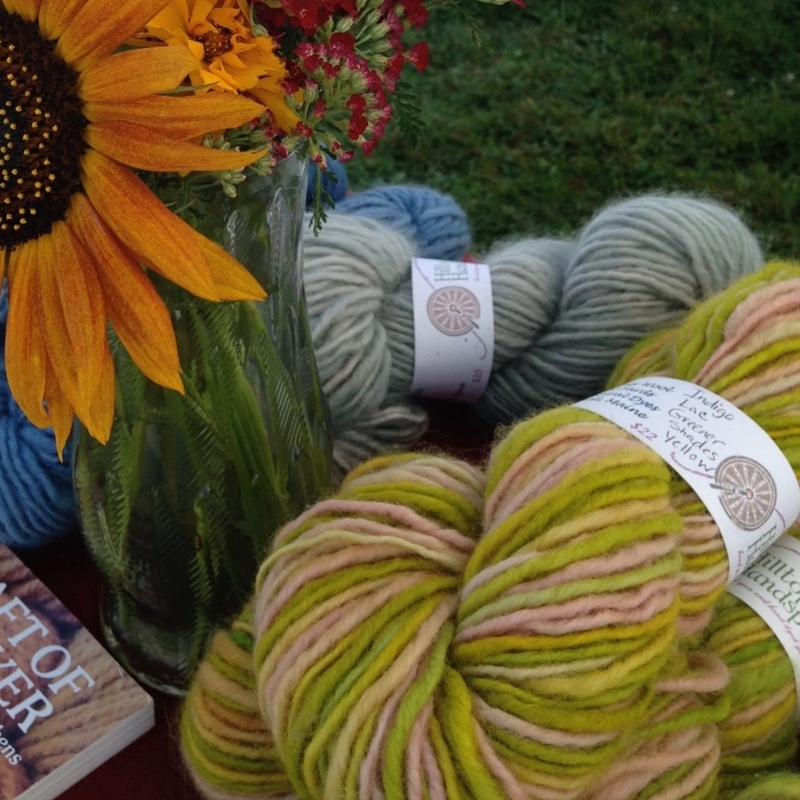 The yarns in my shop are made from alpaca, mohair, wool and angora fleeces that I hand select from Maine and New England fiber farms and are spun at a local mini-mill often on a fleece by fleece basis. 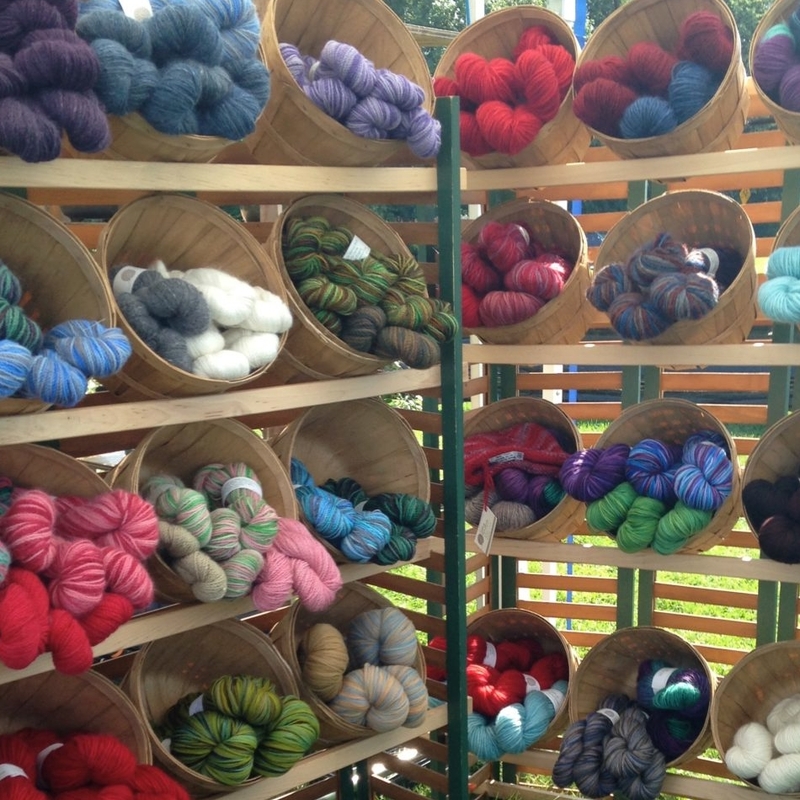 Some white yarns I use for dyeing, including my sock and lace weight yarns, are purchased from larger companies. Beautiful colors, which are inspired by the local mountain environment, come to life during the hand dyeing process in my kitchen. 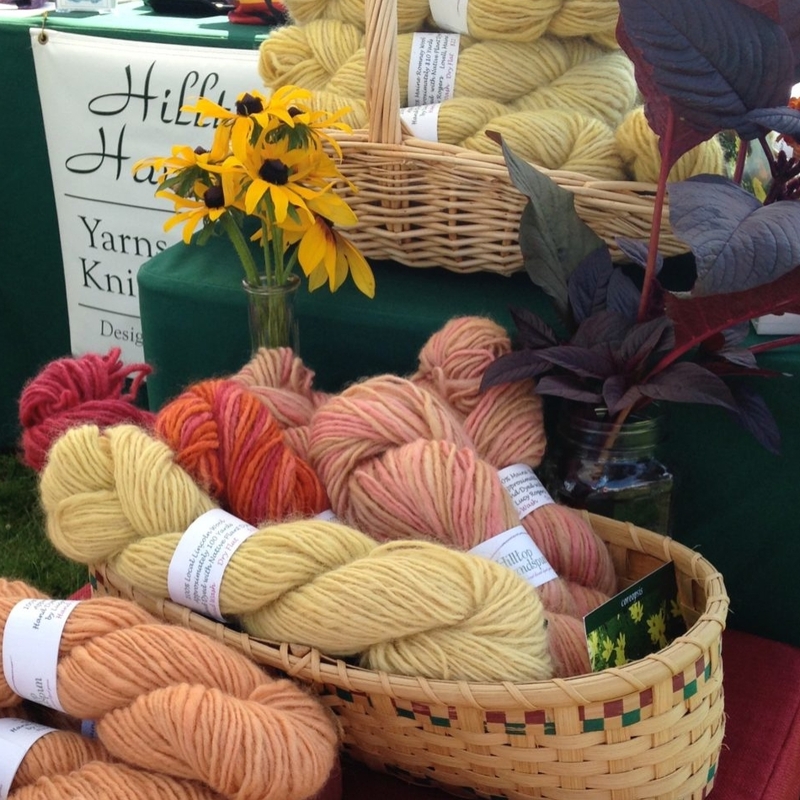 Many of the dyes are home made from plants harvested from my gardens and fields. 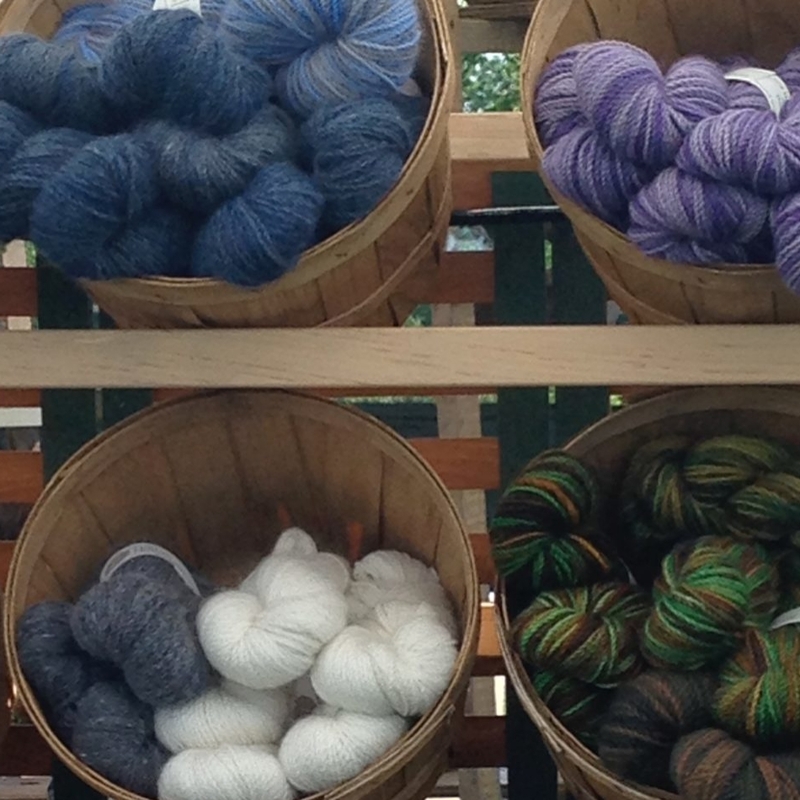 Other dyes are non-toxic and safe for the local watershed. Solar powered electricity and solar heated hot water are used to offset energy use during the hand dyeing process.